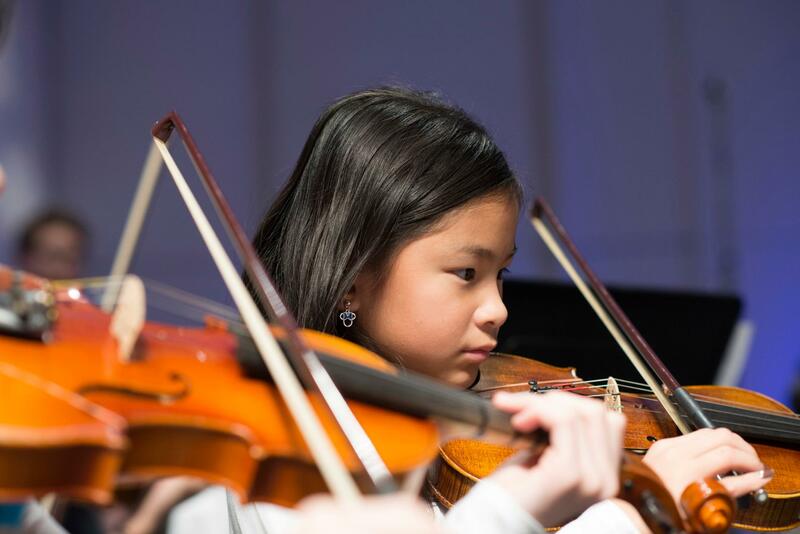 The National Strings Project Consortium (NSPC), a NAMM Foundation grantee for 11 years, is dedicated to increasing the number of children playing stringed instruments while also addressing the shortage of string teachers in the U.S. The organization’s String Projects are designed to have a multi-pronged impact: teaching children how to play a stringed instrument while also training college students to pay forward their skills and gifts to enrich the community and the next generation! The NAMM Foundation’s grants have facilitated the growth of the NSPC’s String Project programs, providing more students access to music lessons and increasing investment in training for college students. NSPC’s Strings Projects provide access to music lessons for thousands of students, many who are in challenging economic and social circumstances, and trains “music teachers of tomorrow” who will have a positive ripple effect throughout their communities.